This is the time of year when thoughts turn to birds of the kind that's loaded with tryptophan and side dishes. But earlier this week there was exciting news about the direct predecessor of birds: the dinosaurs. Fossilised remains have been found in Utah of a gigantic dinosaur which lived about 100 million years ago, in the Cretaceous period just preceding the era of Tyrannosaurus rex. This dinosaur, named Siats meekerorum, was one ugly brother, if you believe the reconstructions. A giant carnivore, it looked much meaner than T. rex; in fact, it probably terrorised T. rex for millions of years. The specimen found in Utah was an impressive 30 feet long and weighed about 9,000 pounds - and that was a juvenile. It wasn't until after Siats became extinct that T. rex developed into the late-Cretaceous giant we know today, one of the largest land carnivores of all time. An adult T. rex could reach a total length of about 40 feet, and weigh a massive 14,000 pounds. No wonder it was always hungry. A similar story has unfolded in the automotive world. The late 1980s saw the gaining popularity of the SUV, modeled after the versatile Jeep used in the Second World War, but built on the chassis of a truck. I can understand the utility, but I still don't see the "sport" aspect of this oversised beast. It was large and always hungry and terrorised all the other personal vehicles on the road. Cadillac developed the Escalade SUV at the turn of the millennium, in a competitive bid for a slice of the expanding SUV pie. Eschewing the trend for smaller size that saw the introduction of mid-size SUVs, "compact" SUVs and even "mini-SUVs", the Escalade was an unabashed "bling SUV", as it was called by a reviewer in Edmund's. I suppose it caters to people who confuse size with desirability. This thing is HUGE: it's 203 inches (5.14m) long, or an incredible 222 inches (5.64m) for the extended version with the open bed in the back, presumably for moving Sub-Zero walk-in refrigerators during a home renovation. With a width of 79 inches (2.00m), it hogs the road. This is probably what the British comedian Sean Lock was thinking of when he said Americans drive "bungalows with windshields". No engine put into this vehicle was ever smaller than 5.7liters. The curb weight is now about 6,000lbs, but can be loaded to a total weight of 12,000 pounds, which is only 14% less than the weight of an adult T. rex. Add to that the front lights, which manage to look like a few rows of teeth. It's a monster. The current version comes with a 6.2L V8. Cadillac's website does not list its fuel efficiency, but the EPA lists it as 14 / 18 mpg (cty/hwy). Sales of the Escalade have declined sharply since 2007. But Cadillac has jumped onto the hybrid bandwagon, because it seems that the mere word "hybrid" will make good a host of environmental insults, and nobody will look into the details too closely. 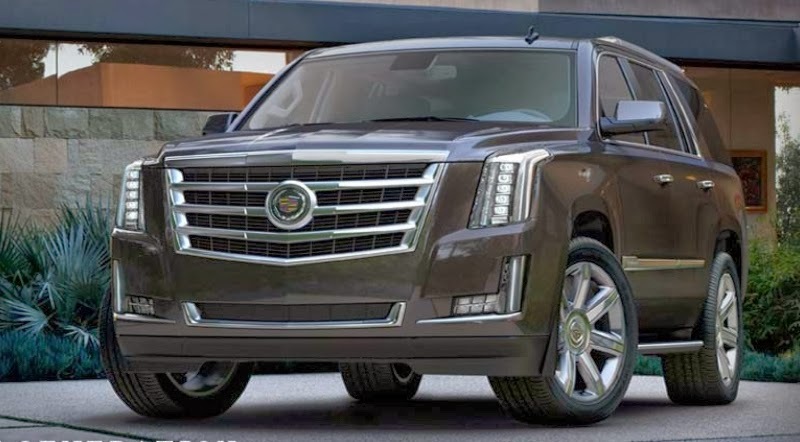 But the truth is that the Escalade Hybrid still has a 6.0L V8 engine that puts out 332HP. It gets 20 / 23 mpg (cty/hwy). So yes, it does 30% better than the non-hybrid version. But come: it matters little what the technology is called that you use to keep down your total carbon footprint - ultimately the only thing that matters is grams CO2 per passenger mile. At 21 mpg average fuel efficiency, the Escalade Hybrid still emits 418 grams, or nearly one pound of CO2 for every mile you drive it. I'm sorry, but strapping a battery pack on the back of a dinosaur doesn't take away the fact that it is a dinosaur. The Escalade Hybrid gets CelloMom's 2013 Turkey Award.